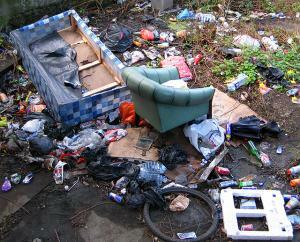 A garage owner in Liverpool has been convicted of fly-tipping after he blocked a road with rubbish from his business. William Larkey, 30, was caught by Liverpool council’s Kirkdale Neighbourhood Environment Action Team, the Liverpool Echo reported. The waste, which was left across Sherwood Street in February of this year, was traced back to his car garage business, Elite Vehicle Repairs. Trying to cut corners rarely pays off in the motor trade industry, and this is particularly evident when it comes to obtaining motor trade insurance. Whether looking for a simple road risks insurance quote or a more comprehensive combined motor trade insurance policy, firms must be honest and transparent to ensure they get a legitimate quote that will meet their needs – not disclosing the truth is not only illegal but it could also see a business left out of pocket should something go wrong and cover be required. In attempt to free himself of the hassle of disposing of waste in the proper manner, Mr Larkey resorted to fly-tipping the refuse in the early hours of the morning. The garage owner left so much rubbish – including car parts – that Sherwood Street was blocked and vehicles could not get past. Mr Larkey appeared at Liverpool Magistrates Court last week and was prosecuted under Section 34 of the Environment Protection Act 1990, whereby businesses have a duty of care to dispose of waste in a responsible manner. He was fined £1,000 and ordered to pay costs of £1,000.